"Words can't describe how amazing Dr. Morales is! Highly recommend her to anyone[...]"
"I cannot say enough about Dr. Morales. She's the greatest. She's pure gold." All the good things you can say about an OB, Dr. Morales will exceed them. "Dr. Morales is a different kind of Dr. She's compassionate, genuine and truly informed." Dr Morales is amazing she understands her patients and genuinely shows she cares. "She put my fears to ease and has a fantastic bedside manner. I highly recommend her!" "I could go on listing all of the reasons why Dr. Morales is just the very best." "Dr. Morales is literally a Godsend and will forever hold a huge place in my heart!" "I went to Dr. Morales and she was awesome during my whole pregnancy." "I cannot say enough about Dr. Morales! She's the greatest OBGYN possible." A caring and compassionate OB/GYN, Kelly Morales, MD, FACOG is dedicated to providing patient-centered care to women in and around San Antonio, Texas. By staying current on the latest evidence-based medical trends and listening thoroughly to the needs of every patient, Dr. Morales proudly promotes women’s health in her home community. Dr. Morales completed her undergraduate education at St. Mary’s University, Texas in San Antonio before earning her medical degree at the University of Texas Health Science Center in Houston. She went on to pursue a deeper commitment to her country, in addition to exciting travel opportunities, by serving as an OB/GYN in the United States Army Medical Corps from 2001 to 2014. After receiving an honorable discharge from the Army, Dr. Morales returned to her hometown of San Antonio, eager to open her private practice. Dr. Morales earned international recognition for her research in pelvic scar tissue prevention while her warm, unhurried bedside manner secured her an excellent reputation locally. She’s up to date on the latest advances in medicine, with a particular interest in minimally invasive surgery, da Vinci® robotic-assisted hysterectomy, traditional laparoscopy, and hysteroscopy. As a pioneer in women’s health, Dr. Morales is the first OB/GYN in San Antonio to offer Votiva FormaV and FractoraV noninvasive treatment for sexual dysfunction, urinary incontinence, and many other pelvic floor disorders. Dr. Morales practices holistic, progressive obstetrics and goes above and beyond to offer her patients the birth experience they envision in a safe and unbiased environment. When not with patients, Dr. Morales loves spending time with her husband and two children and is a self-proclaimed foodie with a deep appreciation for gourmet cooking and travel. Kelly Morales, MD participates with most major insurance carriers. We request that our patients verify in-network participation by calling their insurance carrier. Payment, including that for insurance co-pays, co-insurance, deductibles and for non-covered services, is expected at the time of the visit. Your insurance plan may have restrictions on specific procedures and treatment services. "I love Dr. Morales, truly. She inspires trust within the community of health practitioners around her and inspires trust with her patients." "Dr. Morales is an excellent physician and wonderful human being. She should be in charge of teaching all other doctors how to be doctors." "LOVE Dr. Morales. She is amazing. She was more of a friend by the time it was all over than just my physician. I would recommend her to anyone!" "I've been seeing Dr. Morales and I absolutely love her. She is caring to her patients and really listens to their concerns. She is truly the best OB/GYN I've been to." "I wish I found Dr. Morales sooner. I love her and would recommend her to all my friends. I just cannot say enough good things and my experience with Dr. Morales." "[...]It was nothing but great pleasure to work beside Dr. Morales in Germany. She is such a great provider and takes pleasure In her work[...]"
"Dr. Morales changed my perspective entirely. She is amazing in every way! Not to mention, her staff are so warm and welcoming." "As a birth professional, I have never met someone as unique as Dr. Morales. She is absolutely in tune with her clients." "When you see Dr. Morales you get personalized, professional, up-to-date OB care that she takes pride in delivering!" 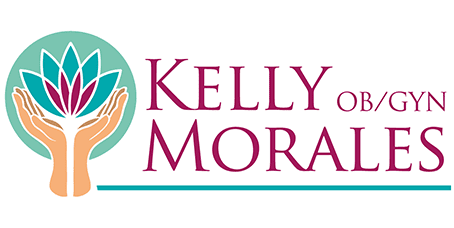 "Dr. Kelly Morales is an amazing doctor. She listens and works well with her patients to develop a plan of care that meets both expectations and goals. " "It was sheer pleasure to be a father but the effort put by Dr. Morales and support during the labor was simply excellent. Yes, I recommend her 200%"